HMDX Audio, a notable figure in the United States' bluetooth speakers market, is launching three of its best products from its Jam Collection in India. If you are an audiophile, here's some music for your ears. HMDX Audio, a notable figure in the United States' bluetooth speakers market, is launching three of its best products from its Jam Collection in India - Jam Classic, Jam Plus and Jam Party - through its Indian partner, Imagine Marketing India. 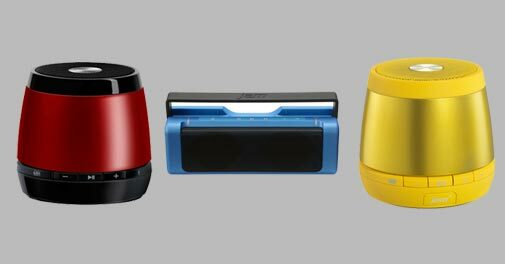 HMDX claims that the "funky" Bluetooth speakers will be available across all leading consumer electronic stores in India. 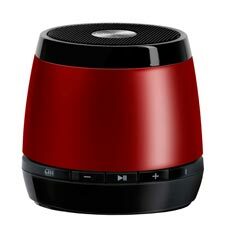 The company, in a press release, said: "The three international bestsellers being launched in India deliver sweet sound while breaking away from traditional industry designs to showcase sleek shapes and amazing finishes in bright, vibrant colors that compliment HMDX Audio's demographics' style and taste." The HMDX JAM Classic, priced at Rs 2,990, promises to liven up living rooms, offices, gyms, beaches and dorm rooms. Housing an incredible sound in a small package - the JAM Classic can be paired with any Bluetooth-enabled device with a range of up to 30 feet. The built-in rechargeable battery delivers up to four hours of wireless play. 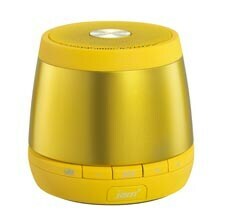 The JAM Plus, priced at Rs 3,990, is one of the first Bluetooth speakers in the market that can be paired with another JAM Plus device to provide true stereo sound. It features a re-chargeable lithium-ion battery capable of pumping out six hours of continuous play. The incredible dual stereo speakers of the HMDX Jam Party, priced at Rs 7,990, delivers superior bass performance of up to 12 hours of wireless play for a party lasting all night! Armed with an integrated pop-out handle for easy portability and multiple flavours to express your true colors, these portable speakers with a range of 30 feet also work on rechargeable batteries. So, this is the promise. But will the HMDX bluetooth experience be as beautiful as promised, especially when you consider competitors like Sony and Logitech's Ultimate Ears? Guess we'll just have to wait and see.